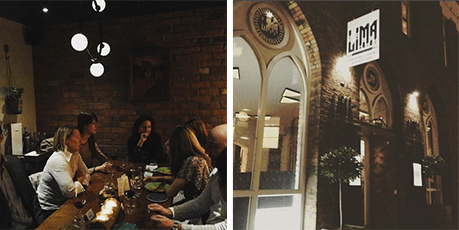 We finished our jam-packed week of dinners with MyBeautyMatches’ latest Digital Beauty dinner and our Tech Stories dinner with Blaze’s founder on creating ultimate products for urban cyclists. If you haven’t done so already, please do check out the highlights from the first three dinners we had this week here. 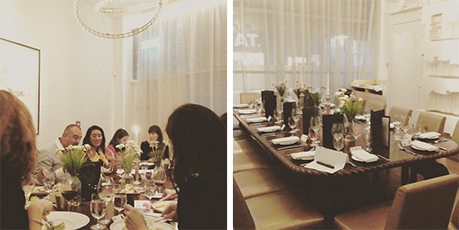 We dined in the sumptuous surroundings of Pall Mall restaurant, The Avenue, and it was the perfect setting to an exciting evening of debate and discussion surrounding beauty blogging. We were joined by both Hayley Carr, aka London Beauty Queen, and Nidhima Kohli from MyBeautyMatches.com, they both shared an insight into what retail websites and beauty bloggers expect from new brands. Build your brand profile and presence before you approach a retailer. We believe there are too many brands out there and we want to know which products are of high quality. Everyone claims that their product is the best thing – so make sure you are clear when you are approaching blogs. To find out from Hayley Carr on her tips for new brands approaching beauty bloggers, check out this post. Always focus on the end goal…it makes difficult short term decisions easier to make. Our speakers this week were joined by: MyBeautyMatches, Atosho, Janiro Ltd, The Hut Group, Type the Hype, Fighting Fifty, Mrs Jonas Recommends, Beauty Seen, Qmarkets, Coppr, Khunu Limited, Williams Powell, and Space Synapse amongst others. Special thanks to Nidhima Kohli, Hayley Carr and Emily Brooke.